When thinking of which room to improve upon or fully upgrade, the bedroom is usually at the top of everyone’s list. The bedroom is your retreat from the outside world, your fortress of solitude where you relax, read, write and sleep. 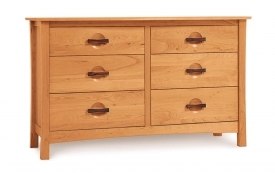 Where do you find bedroom furniture in Eugene, Oregon that can fulfil such standards? Rileys Real Wood Furniture! With Riley’s collection of bedroom furniture, mattresses and lighting you are never out of options be they size, color, style or finish. Sleep well on a comfy Dolce Vita Comfort Deluxe mattress, save space by storing your clothes under a Classic 4 Drawer Platform bed, or simply upgrade your bedroom furniture with any one of our selections of dressers, night stands, mirrors, and adjustable bed bases. For added convenience, our bedroom furniture shares accents with furniture from other rooms so you can really tie your entire home’s feel and themes together. We carry local brands like JenCo Furniture and Wood Castle Furniture to American made brands like Omnia Leather and Best Home Furnishings. 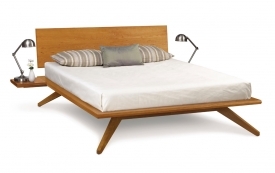 Riley’s bedroom furniture invites you to take a load off, and get the best sleep you’ve ever had. Your bedroom is all about you, and you’re worth it. 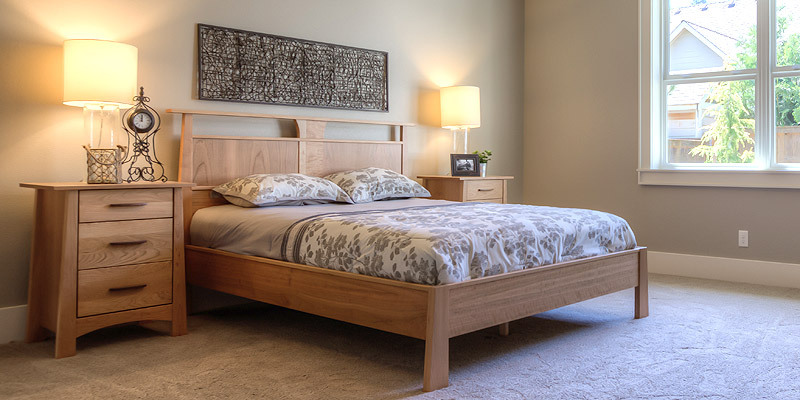 All of our bedroom furniture is available for pickup or delivery within Eugene, Springfield and the greater Willamette Valley area. 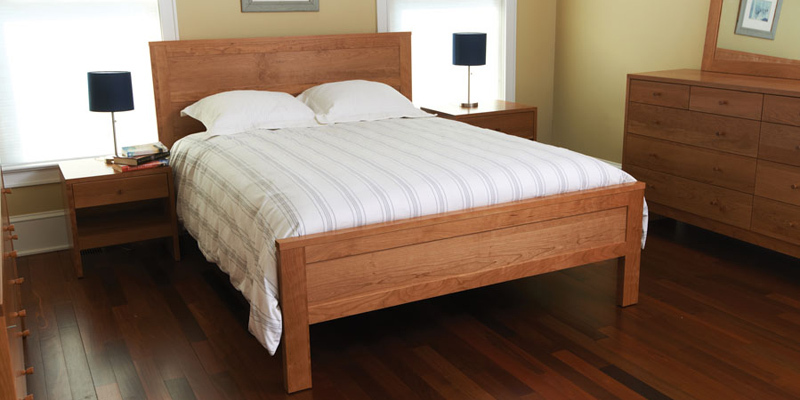 A sturdy and durable bed that is built with high-quality wood is essential to creating a bedroom that’s cozy and functional. The problem with buying bedroom furniture that’s cheap and imported is that it never lasts long. At Rileys our selection of beds vary from style, color, and size but one thing remains the same, quality. Shop through our website to find the durable bed you’ve been looking for all along. Night stands always come to the rescue whether it’s for our storage needs or to house our water in the middle of the night. Night stands are an important part of a bedroom furniture set. 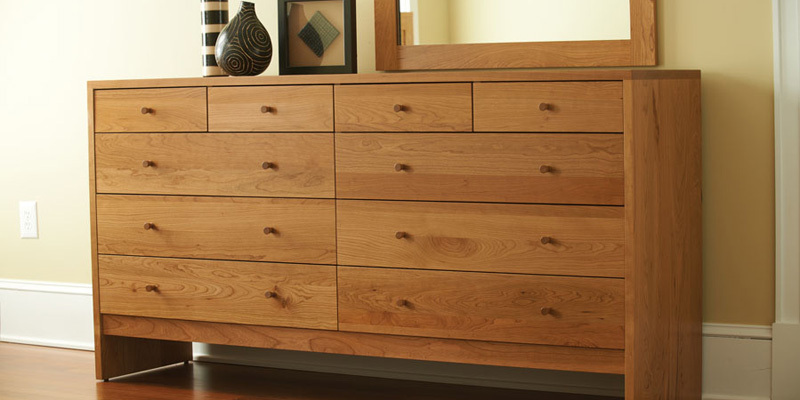 Our selection comes in different styles to match your bedroom furniture. One of our more popular night stands is the Cascaida 3 Drawer Night Stand. This casual contemporary design is build right here in Oregon with solid Cherry hardwood. A dresser or chest that is right for you means no more digging through a messy closet or worse, a pile of clothes on the ground. 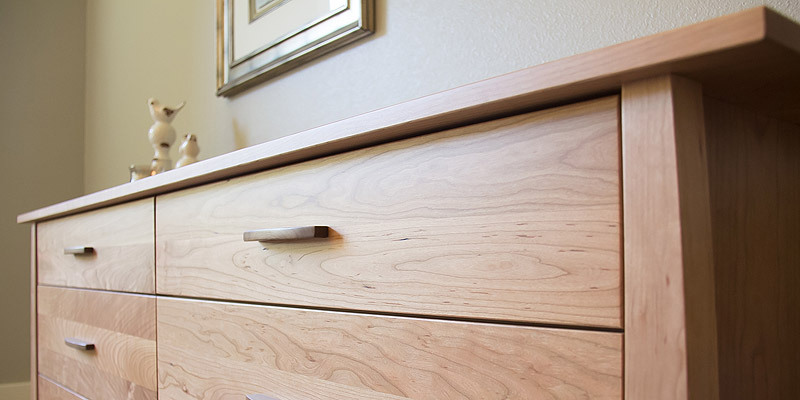 Our dressers are hand selected by our bedroom furniture experts to match our bed frames and night stands to come together and create the “perfect package.” Our selection varies from wide, narrow, cherry wood, oak wood, you name it. The possibilities are endless. Mirrors go beyond helping you check your teeth. Their frame, shape and placement can really enhance your bedroom’s décor. Use a mirror as the headboard to your dresser or you can open up your bedroom by hanging one in the center of a wall. Shop through our selection of mirrors to create the perfect addition to your bedroom furniture. The best way to start your day is with a good night’s sleep. 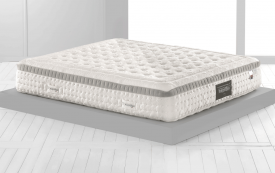 Since everyone sleeps differently, it’s important to have a mattress that is customized for your comfort and support. That’s why at Rileys Real Wood Furniture we carry a variety of mattresses from Magniflex to Tempurpedic. 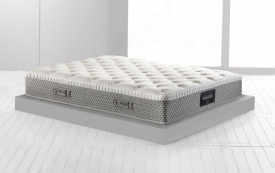 If you need help deciding which mattress is right for you, check out our blog on how to buy a mattress in Eugene. Whether you need to ease discomfort, watch a movie or reduce snoring, an adjustable bed adds a completely new function and comfort to your bedroom furniture. 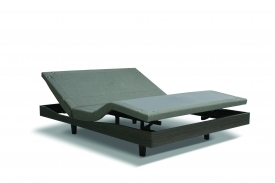 Our selection of adjustable beds include the 8C Adjustable Foundation that has a quiet massage feature with 10 different intensity levels and the 5D Adjustable Foundation that has virtually unlimited head and foot positions.